It has been a couple of weeks since I mentioned the top 10 things I am looking forward to in the remaining part of 2017. I figured now would be a good time for an update since several of those events have occurred with some positive results. FTEC has been having steady news flow over the last couple of weeks, reflecting the imminent and serious nature of the cryptocurrency point-of-sales business. 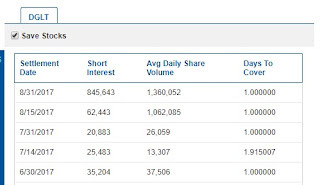 It looks like somebody was shorting FTEC during this volatility. There was an article that highlighted the company's poor balance sheet. This is something I have brought up before and I mentioned as a risk. But there's another way to look at that. Despite the bad balance sheet, look at how far the company has come in developing this business over the last few weeks. Management is obviously working very smart to accomplish the things they have accomplished so far with minimal resources. I'd like to remind people that Mohammad Abuleil took over as CEO in 2015. So he inherited that mess of a balance sheet and has been working to improve it. He is not a good interviewer, but appears to be a doer which is ultimately what we want and need from our CEO as shareholders. It looks like that shorter left with their tail in between their legs; today's spike to 48 cents had the hallmark of a short squeeze. I think we could get news of the soft launch any day now. That being said, I continue to take advantage of the volatility, selling into strength and buying into weakness. Even after selling a part of my position, FTEC is still my largest holding in terms of dollar value thanks to this recent run and I think it could go up further. But at this point in time I don't think it's a bad idea to take SOME off the table if you are already up over 100% like I am. For those who are not in FTEC but might be interested in swing trading the hype or as a spec buy longer term hold, I think that is still a good idea because I think FTEC is going higher. There's a difference between someone owning a stock that has grown to a large portion of their portfolio and wanting to sell SOME shares but still owning a LARGE POSITION and someone who would be buying those same shares off of that person to INITIATE a position. Apparently there's some pea-brained traders in this market who can't wrap their heads around a basic concept like this and have to conclude "oh, he is trying to dump shares to you pump and dump pump and dump". So I thought I'd make this very clear. I am selling only because I own too much. You are buying because you don't own enough. We both stand to benefit from a price increase and are betting against a price decrease. 1. There is some kind of issue that delays the soft launch, or some other unforeseen hardship. The stock goes down. 2. The soft launch and full launch go off without a hitch. The stock goes absolutely ballistic in the following few weeks then tapers off as the business isn't as lucrative as first thought. If you look at PEEK I think this would be a great example of that effect. In the days leading up to the Halloween 2016 launch of Peeks Social, The stock raced from the 20's to 60 cents. In the three weeks after that it went as high as $2.39. It has sunk back down to 40 cents since then. 3. The soft launch and full launch go off without a hitch and FTEC starts making big money. This is the scenario where the sky is basically the limit on the stock. Lottery ticket type of returns. After taking profits to the point where you cannot lose on the stock, you might consider leaving a little on the table for this scenario. I am enjoying the ride for now. But I'm not going to answer any questions about price targets or my selling strategy beyond what I've already done here. Sell a little into strength at every new high and buy back into weakness on any pullback. Along with prudent portfolio management when the stock becomes a very high percentage of my overall wealth, more than I am comfortable with. PKK expects the debenture financing to help fund the minimum $20 million in capital required to set up ASFC to close by December 15. ASFC should be fully operational fairly soon after that. 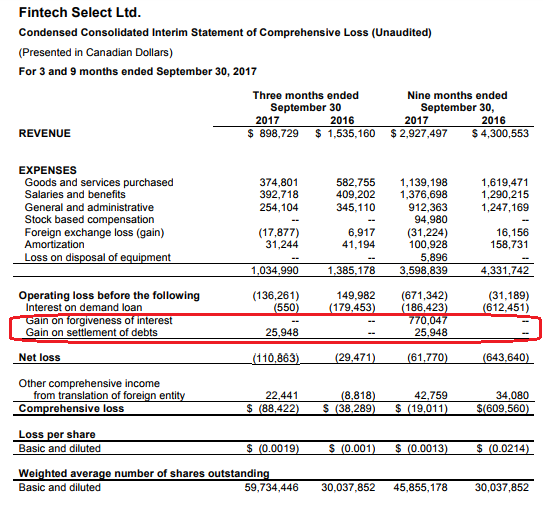 I really look forward to this debenture closing because I think that is the final step for PKK to move off this frustrating 5 cent stock price, despite the company making huge strides in setting up profitable lending and fintech businesses in China this year. Although the debenture closes in a month from now, I think that once the company makes it clear that the debenture is filled and some people were unsuccessful in getting a piece of the action, the stock will quickly move up as demand for the shares suddenly increases. The 5 cent warrants associated with the debenture would no longer be available to the market. I am in complete hold mode on PKK until I see evidence that the 5 cent level is broken for good and I'd be willing to pay slightly more for shares to add to my position. But anyone looking to initiate a position should look into doing it sooner rather than later since the clock is ticking on the debenture. APP has been my diamond jewel in the couple of weeks since I wrote this piece, doubling in price in that time. Basically everything I said about FTEC applies here as well. The stock is up on hype, but there are a lot of near term catalysts that could cause that hype to run on much longer. The CEO made some very aggressive near-term projections on revenue and user base growth. So it could have huge upside on execution or downside on failure. APP has grown to a large portion of my portfolio so I sold some, but the majority of my position remains intact. I will continue to sell into strength and buy back on weakness. Anyone who is looking for a potential high-flier that will be very volatile on hype with near-term catalysts, APP is an ideal candidate. 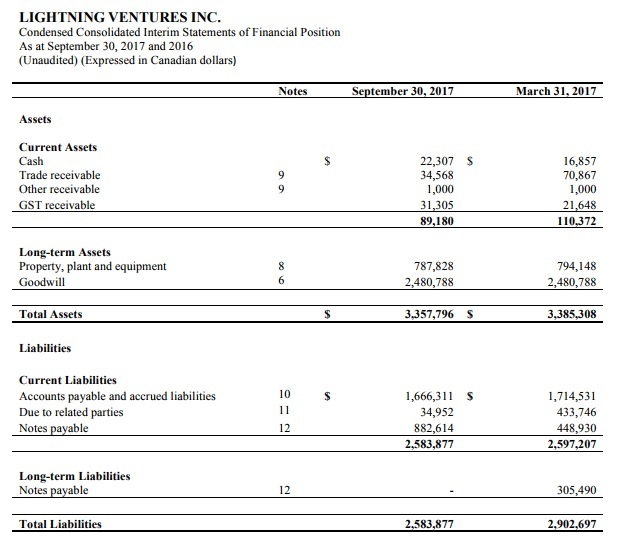 APP has a fully diluted share structure of 68.5 million shares. That is a $22 million market cap fully diluted. FTEC has 87 million fully diluted shares, a $36 million fully diluted market cap. 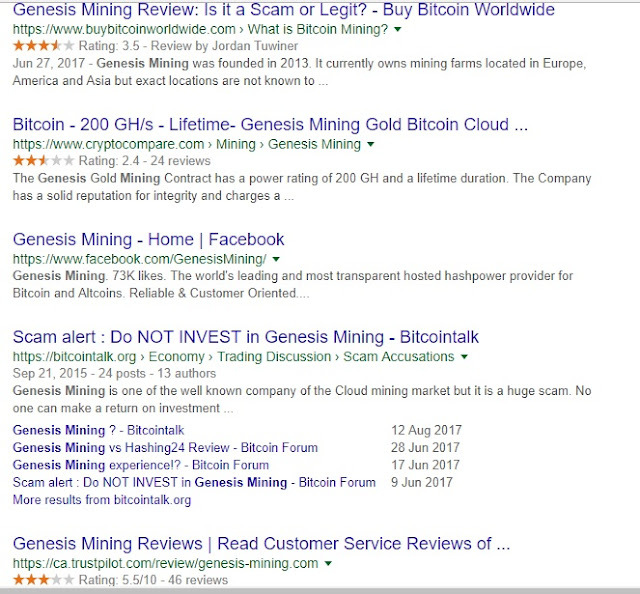 Both of these companies compare favourably to their blockchain-fad peers which have market caps well in excess of $100 million. Both APP and FTEC offer short term catalysts that drive revenue-generating businesses. Another stock to consider in all this is ThreeD Capital (IDK). It bought into the recent APP private placement and owns 5 million APP shares (including convertible securities). If APP continues to run hard, IDK could follow suit as the value of this investment increases. 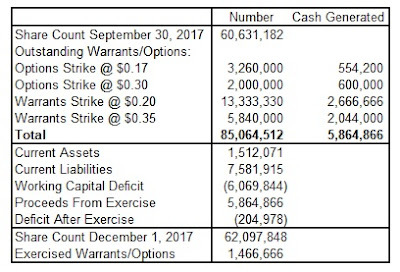 FGD's Q3 financials, along with the rest of the financial releases mentioned on this list are due to come out by November 29. I'm most interested to see FGD's release. With profits in four of the last six quarters, it's the most advanced of the microcap companies I am invested in. Q2 was a bit of a disappointment with single-digit growth over Q1 and a net loss. That being said, it was still a record quarter in terms of revenue for the company. I would like to see growth over Q2 well into the double digits. Profits will be nice, but if the company had to aggressively hire to fulfill many of the deals it has signed in 2017, I will be okay with that. Revenue was $4,000 for Q3, aligned with my expectations that revenue would be small for the ASDS business that initiated in September. No orders were processed on Gold River and I think it's safe to say none will be processed until ASFC is live. While this revenue number seems paltry, keep in mind that this is just the first month of a recurring revenue business model. I look forward to a hockey stick type of revenue growth with profits once ASFC is up and running. LVI claimed it was cash flow positive going forward in September. The real interesting set of financials will be Q4, but September does cover one month of Q3 so I think there will be something to look forward to here. LVI has been the beneficiary of much of my sells that took place on FTEC and APP. I bought up as many shares that I could under 4 cents and now that it is 4 cents I will spread any future profits from those two winners to other stocks. I am quite happy with my larger LVI position. I have a gut feeling something good will happen here and at 4 cents or less it is a good gamble. A week left until financials must be released. FTEC has pulled profits recently, but that has come in the form of gains on debt re-settlement. I would like to see continued re-settlement of debt that will further improve the balance sheet. I am not that excited to see the income statement just yet since none of the new proposed offerings have launched as of the end of Q3. But it would be nice to see some traction on the existing business. FGD estimated to have 40 state money services licenses by the end of the year. The goal is to have the final 10 states in Q1. Hopefully California is one of the licenses that will get done in 2017 so FGD and LianLian Pay can fully launch and promote the WeChat remittance service across the U.S. The vast majority of Chinese citizens or people of Chinese decent reside in California or New York so the deal is getting minimal reach right now with the existing state licenses. As I admitted in my previous piece, I had to nuke my MRS position to load up on the blockchain name-drop fad, namely APP. This has turned out to be the correct move and now I have an interesting decision on my hands. The news of a purchase order around MRS' $400 million multi-year supply agreement could be the biggest news maker of them all. But there comes a point in time when we're nearing the 11th hour. We're in the last week of November and we know that the last two weeks of December are basically write-offs. We are nearing a situation where the market might panic that this order won't come in Q4. I don't mean to make other people nervous, I am just coming from my perspective which is I have never spoken to the company and I don't think at this point management could say anything to reassure me that wouldn't be insider information anyways. Now the decision point is, do I want to buy shares now, wait for a panic to buy on a dip or risk not having a position and waking up one day to see MRS up 300% by 9:45AM? Or breath a sign of relief after watching the stock tank on news of issues/delays with the deal. It's the same decision everyone else has to make. People have private messaged me, confused that after the announced deal and 73 cent per share valuation that the stock had a very short-lived bounce and is back down. I was not surprised. To use one too many cliches, the stock is damaged goods right now and the market is in "show me the money" mode. PEEK isn't going to move until it demonstrates a marked step towards improved financials - much higher revenue growth, lower burn rate or profits, and strong growth in users. At first this looks like I have a double standard. I'm willing to forgive PKK and not sell out of that stock despite the very obvious miss of the $500 million revenue and $25 million EBITDA projection that was set for this year. The difference is PKK didn't execute on that promise for (what I think is) a valid reason. The more lucrative opportunity around ASFC came up which should substantially increase profits once it goes live which will be very soon. Peeks has no excuse for not executing on some of the promises made at this time last year, except that Mark underestimated the difficulty and time needed to complete the tasks ahead of him. But with this may come an opportunity as well. I think the stock is cheap and I now have enough spare cash to take a position once again. I plan to have a nominal position in time for the vote on the transaction just to get a seat at the meeting. Anything beyond that I'll have to take a wait and see approach. I would vote for the deal. It could always be better for shareholders like any deal could be, but it's not so off-base that it's worth voting against it and causing more headaches. Shareholders would be shooting themselves in the feet by voting no. Might as well agree to it so the company can move onto greener pastures ASAP. FTEC has been making very good progress over the last couple of weeks in getting ready for the soft launch of its Selectcoin point-of-sales network, enabling people to buy and sell bitcoin and other cryptocurrency at thousands of locations across Canada. I expect the soft launch of a few sample locations to be announced at any moment. After a couple of weeks of a successful trial run, I expect the full launch to go live, creating a national news event and a high-margin ATM business almost overnight. I have been selling into rallies and buying back on pullbacks, but FTEC has grown to become my largest holding. Dollars and cents wise, I think other names on this list have bigger deals signed or coming, but nothing impacts local Canadian investors and regular people like this business will. I expect the hype to be massive as it will be a noteworthy news event on a very trendy topic right now - bitcoin and blockchain - which will resonate with people, be exciting, and be very easy to explain to the masses who might not just be interested in transacting and investing in bitcoin, but also with the company that is making accessible to million of Canadians. Only time will tell how the company deals with this opportunity over the following months and years. But I believe very strongly that early investors will make out like bandits (some already have with the recent move up) and it's up to them if they want to hold some FTEC for the long term. At this point in time I am riding the hype and will evaluate a long-term hold at the appropriate time when I can see a path to financials that justify it. PKK expects the debenture financing to help fund the minimum $20 million in capital required to set up ASFC to close by December 15. ASFC should be fully operational fairly soon after that. I really look forward to this debenture closing because I think that is the final step for PKK to move off this frustrating 5 cent stock price, despite the company making huge strides in setting up profitable lending and fintech businesses in China this year. Although the debenture closes in a month from now, the deadline to request participation is coming up. 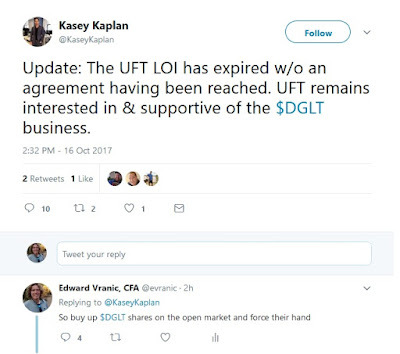 Once the company makes it clear that the debenture is filled and some people were unsuccessful in getting a piece of the action, I think the stock will quickly move up as demand for the shares suddenly increase because the 5 cent warrants associated with the debenture are no longer available to the market. I have been watching how hot blockchain and cannabis stocks have been. APP has been my diamond in the rough that I have been slowly accumulating at cheap prices and it finally got some love today. It closed at 16.5 cents, the highest I have seen since I have owned it. APP has proposed the release of the Citizen Green platform in Q4. From what I gather, portions of the platform will be released at different times and countries. The basic premise of Citizen Green is to organize and facilitate anecdotal data based on the experiences and feedback of individuals using various strains medicinal marijuana for different ailments. APP's apps will collect that data and put it into blockchain for a data bank of user reviews. It looks like artificial intelligence will be used to try to turn these anecdotes and reviews into actionable medical data for regulators. The company will also leverage the blockchain to present its own token loyalty program. These initiatives sound like superb hype fodder for the blockchain and cannabis chasers out there and I am guessing based on the tone of the company's recent magazine interview that the rollout will be continuous, leading to a steady news flow. Like FTEC, only time will tell how financially lucrative this will all be, but early investors should make out like bandits on hype here too. The share float is the smallest of any company on this list, and therefore most susceptible to big market moves. With ASDS up and running, I am excited to see gross margins and revenues in the very early stages of this profitable fintech business. LVI claimed it was cash flow positive going forward in September. The real interesting set of financials will be Q4, but September does cover one month of Q3 so I think there will be something to look forward to here. FTEC has pulled profits recently, but that has come in the form of gains on debt re-settlement. I would like to see continued re-settlement of debt that will further improve the balance sheet. I am not that excited to see the income statement just yet since none of the new proposed offerings have launched as of the end of Q3. But it would be nice to see some traction on the existing business. The news of a purchase order around MRS' $400 million multi-year supply agreement could be the biggest news maker of them all. It sits only at #9 on my list because I have been in and out trading the stock. Shamefully, I had to give in and chase the blockchain fad rather than buy and hold a company which I feel strongly will do well and has real numbers to back it up. But out of all the companies I have invested in, I know this one the least (I haven't spoken with management) and feel the least attached to it. So I'm playing the roulette wheel that my blockchain-related stocks will run before this one announces a huge order so I can reload a huge position at a cheap price. But I am watching closely either way. This one is ranked lower as well despite a larger news event because I don't own any PEEK shares at the moment. The stock is halted and there is a good chance this halt could be related to the proposed combination with Personas. Once that news is out, I can re-evaluate the situation and if the price, wherever it opens, represents a good buying opportunity. AMD had a strong Q3, greatly aided by the impact of GPU demand thanks to cryptocurrency mining. The bearish argument against AMD, led by Morgan Stanley, includes the assumption that demand for the GPUs for crypto mining will fade. In Canada, the deal flow has been incredible for blockchain and cryptocurrency stocks. Canadians can't get enough of anything to do with this industry right now. September headlines that include robust hiring in the industry and Fidelity experimenting with mining suggests that this market is nowhere near topping out. I believe that the assumption that crypto mining will fade is wrong and AMD will beat expectations for this sector of its business. If Advanced Micro Devices, Inc. (AMD) was a Canadian company, it would be a $20 stock right now. And I'm not talking about the win from the exchange rate difference either. There are many articles on Seeking Alpha and elsewhere that dive into AMD's improved financial performance in Q3 and present bullish and bearish arguments over AMD's position in the microprocessor competitive landscape. I encourage readers to read those articles if they want an awareness of the overall business. I wish to talk specifically about cryptocurrency and its impact on GPU revenues in the near future. As a Canadian investor who has seen the absolute craze the blockchain gold rush has had on our stock market, I believe that analysts and even AMD's CEO has it wrong about this space. In terms of the headwinds, we have the semi-custom seasonality and we're also predicting that there will be some leveling-off of some of the cryptocurrency demand. As we look at it, it continues to be a factor, but we've seen restocking in the channels and stuff like that. So we're being a little bit conservative on the cryptocurrency side of the equation. In addition to these suggested headwinds, there appears to be a prevailing trend among both bears and bulls that downplay the growth in GPU business due to the cryptocurrency mining craze. It's somehow lower quality revenue, subject to faddish boom and bust periods. To me, a dollar is a dollar is a dollar. As long as the RX family keeps selling, I think AMD is a compelling buy at these levels. Then bears and bulls can argue until their faces turn blue over the fate of the CPU business at higher prices. The demand for the GPUs will be subject to the price of Ethereum, which is in constant heart attack mode every day from now to forevermore. So from that perspective I get the concern. But my experience as a Canadian investor, there is no way the bust will come any time soon. $16.5 million on September 7 as part of the RTO. This included the acquisition of a data center in Iceland. $30 million through a bought deal financing which closed on October 11, at a price of $1.50 per share. The proceeds were used, in part, to acquire a second data center in Iceland. Another $30 million bought deal financing priced at $2.80 was announced on October 25. The proceeds will be used, in part, to fund the second phase of construction at the cryptocurrency mining data center in Sweden. The mining craze of the early to mid 2000's. Peak oil shortly after that. Global Blockchain Technologies Corp. (TSXV:BLOC), an investment company intent on getting into the blockchain and digital currency space, has risen from $1.54 to $2.34 in less than a month after its change in focus to blockchain without having done much of anything so far. LeoNovus Inc (TSXV:LTV) has risen from $0.10 to $0.55 since HIVE debuted, having announced a preliminary agreement with a Big 6 Canadian bank for blockchain hardened data storage and security software. Fintech Select (TSXV:FTEC) is in the final stages of releasing thousands of point-of-sale terminals for bitcoin and other cryptocurrencies across Canada. API integration was completed last week. There are currently around 260 in Canada and 1,750 worldwide. 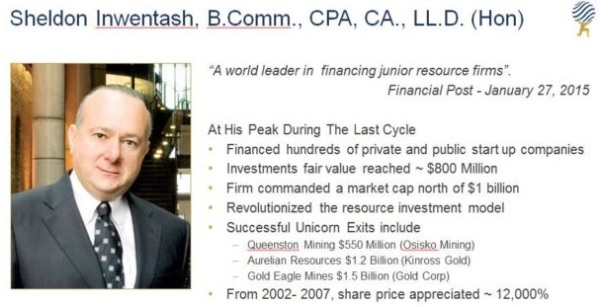 Sheldon Inwentash, former Pinetree Capital (TSX:PNP) executive and the highest paid Wall Street CEO in 2010, has returned with a new capital pool ThreeD Capital Inc. (CSE:IDK) with the intent of getting into blockchain-related businesses. Read my article about this here. These are just a few examples of the blockchain and cryptocurrency businesses that are popping up all over Canada's stock markets. But the chase for quick cash in one the the world's most notorious markets for quick cash chasers isn't the only barometer for the cryptocurrency market. According to this article in September, jobs in the cryptocurrency industry increased by over 100% compared to the previous six months. Fidelity has been looking hard into blockchain assets and has admitted to starting a small mining operation in September. The setting up of futures markets will help miners to reduce the fluctuation of cash flows according to spot prices, making this a more viable business to more people. None of these are indications that crypto mining has peaked or is fading like what the Morgan Stanley analyst suggests. Perhaps U.S. investors are more cautious or skeptical of new industries like this and that Morgan Stanley analyst or other bears can use that skepticism as a way to trash AMD. I understand the thought process behind the idea that cryptocurrencies are a house of cards ready to collapse at any time. I have written about this risk. But how are cryptocurrencies really that much more of a house of cards than the commodity futures markets or ETFs like SPDR Gold Shares (GLD) where far, far more paper trades than the actual underlying value of the goods backing that paper? Cryptocurrencies are like baseball cards or art. They don't have any inherent value, but they are worth exactly how much someone is willing to pay for them. And you can fetch 6-digits or more on the world's most sought after pieces of art or baseball cards, and it has been that way for years. So who knows how long this can last. My experience is there is no indication that the cryptocurrency market and crypto mining markets are going to go away any time soon. The Morgan Stanley analyst is wrong about this being a fading revenue driver for AMD and AMD's CEO is wrong for being overly conservative about this industry, giving bears ammunition to say that AMD's strong Q3 performance will be short lived. I have taken advantage of that and managed to buy into a small position into AMD this week. As I have been in summer mode, I haven't written much about the stocks in my portfolio lately. Here is an update on seven stocks that I am watching closely for the rest of 2017. I'm surprised at the extreme pullback, but I have taken the opportunity to buy more shares. I hold more FGD shares now than ever before. However, thanks to the tank in the stock price, FGD has slipped to the third largest holding in my portfolio. Despite the negative move, I'm not too upset about it. If FGD was doing poorly I would be but I know that business is going very well. 1. FGD has been consistently profitable since Q1 2016. Four of the past five quarters showed positive net income while Q4 2016 only showed a loss because of the stock compensation expense booked in that quarter. The threat of bankruptcy is as about as minimal as it can be for a junior stock and while FGD seems to be battling dilution issues right now, those issues will be in the rear view mirror soon enough. It is extremely unlikely that the company will need to finance to maintain operations in the future, yet possesses a very high speculative upside upon continued traction of the business. I strongly believe that FGD will be a $5.00 stock soon enough, which is more than a 15x upside from current prices. I can see a strategic investment being a possible dilutive event in the future, but that would only be a net positive for existing shareholders. The Android stats for VPayQwik in the Google Play store showed that the app surpassed 100,000 downloads in January and 500,000 downloads in June. The CEO of Vijaya Bank (FGD's operating partner for VPayQwik) stated that he wants to see more than a million users on this app. The Alexa web traffic stats for firstglobalmoney.com have been on a consistent uptrend. It entered into the top million rank in September 2016 and top 400,000 in June. It sits around 370,000 now after hitting as high as 350,000 at the end of July. The partnership with LianLian to bring remittance services to WeChat is already live. Website link. Note the "Powered by First Global Money Inc." message on the service's interface. Check my previous articles for links and analysis that back up these points. Points one and three show strong growth in usage of the company's existing payments services which has so far been highly correlated to increased revenues in each quarter since Q3 2016. The WeChat service will not likely impact Q2 but we may see material revenue from the deal as early as Q3 based on the progress made early in the quarter. 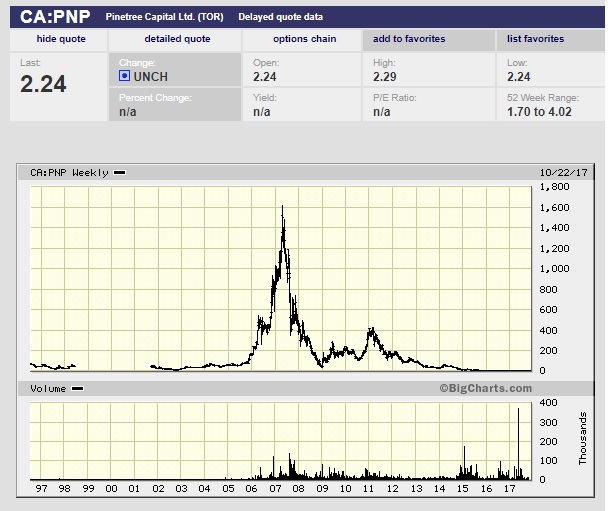 Like FGD, I have also been buying PKK shares and hold more shares now than ever before. Though for this one I can understand why there might have been such a pullback. 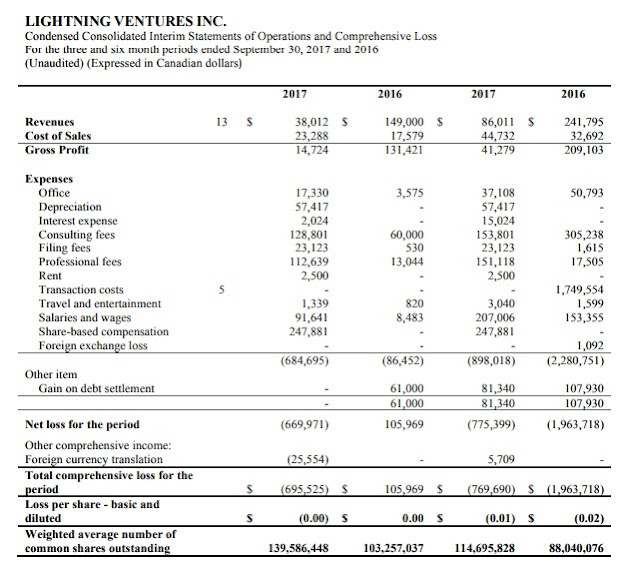 The company will not be making original financial projections made for 2017, which may have turned off some investors as Q1 looked weak and I am expecting much the same for Q2. However, rather than this being due to a screw up, this delay in revenue is largely due to the opportunity to pivot into the much higher margin Chinese B2B lending space through Cubeler, ASDS and ASFC. Rather than accepting a small margin on large amounts of revenue-generating transactions processed through Gold River, PKK has the opportunity to increase the margin on these transactions by offering lending and other financial services to its customers. Three press releases in August show that the company has achieved major milestones in getting to this point. I expect marginal revenue from these initiatives in Q3 with a ramp-up in Q4. Another issue that could be negatively impacting the stock is the discount-to-market financing deal that PKK signed with GEM. Many people were suspicious that GEM was responsible for the recent tank. 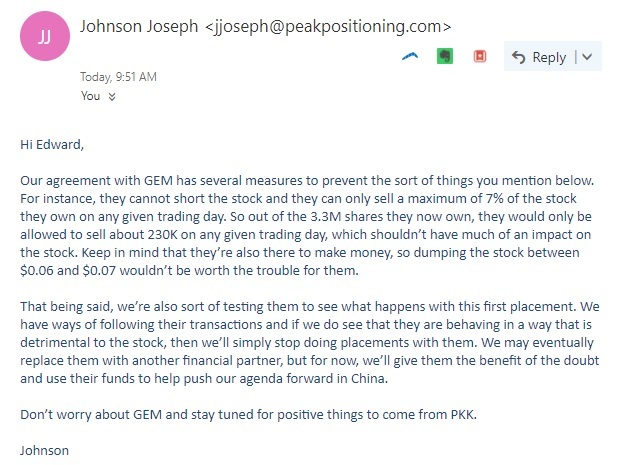 That may not have been the case, but the July progress report showed that PKK financed through GEM with the investment firm getting 3.3 million shares at an average of a little over 6 cents. I was quite encouraged to know that he is aware of the issues surrounding GEM and is using this as a test case. I look forward to hearing more business developments that will encourage the stock price to return and surpass the 52-week highs made a couple of months ago, hopefully before the year is up. Even at 6 cents PKK is still my largest holding, reflecting the large amount of shares I own and the even more severe pullback on FGD. However, the next stock could take over as my largest holding if it continues towards new 52-week highs. I was a reluctant buyer of SCG shares recently. Having seen what happened to FGD since the free trading of shares, I was worried about the impact of SCG's private placement coming due, particularly since the stock price has been so strong since the addition of a Blockchain/Cryptocurrency Strategist to the Advisory Board. So far, so good, as Monday didn't generate much selling. However, there could be a risk of weakness in the short term if anyone does decide to sell their shares. If there is not, I will take that as a very good sign and a precursor to more buying as potential buyers see that sellers aren't blinking and will blink first. Thanks to FGD tanking and SCG remaining near 52-week highs, it's now the second largest holding in my portfolio. I was at the AGM where CEO Mohammad Abuleil and new Chairman (and CEO of FGD) Andre Itwaru explained the current state of the company and plans for the near future. In addition to leveraging the JV with FGD and existing government relationships, SCG is planning to dive in head-first to several leading-edge fintech solutions. This includes a peer-to-peer lending and microfinancing (getting into the GoFundMe type of space) and possibly creating its own cryptocurrency. While the creation of the currency certainly sounds intriguing, that sounds like something that is far down the road and will have a lot of hurdles to overcome. I'm more interested in the near-term plans. The initiative that I found to be more realistic, achievable and profitable in the short term (possibly before the end of 2017) is the integration of a cryptocurrency solution into SCG's existing point-of-sale platform. Basically, SCG wants to sell Bitcoin and similar kinds of online currencies the same way that it used to sell prepaid phone cards. I asked at the AGM if SCG plans to get into the cryptocurrency dealer space - it does not. Which is what I prefer because I don't want SCG getting caught up with the volatile nature of these things. SCG once achieved $100 million in annual revenue selling prepaid cards. So the company doesn't have an issue with reach. The problem was that this business was extremely low margin and became obsolete as the carriers improved their web services where customers could easily top-up their balances online. If a cryptocurrency sales solution catches on, it could be a cash cow for years, similar to how businesses like Thomas Cook have made money dealing in physical foreign currencies at kiosks. This is still in the concept phase but I am willing to wait to see how much progress can be made on this in 2017. Like FGD and PKK, SCG's financials are due in two weeks. The income statement has been up and down since 2016, but still greatly improved over previous years. I looks forward to seeing Q2 2017. The balance sheet should also look the best it has in years. I recently sold all of my shares in IOM above $3.00 to purchase more of the three aforementioned stocks. This quick triple has saved my portfolio this summer and allowed me to redeploy more cash into the other stocks as well as the final two on this list. This was slightly below my planned $4.00 target but considering the tank in FGD and PKK I decided to sell a little bit lower and looks like I timed it well as the stock has pulled back to $2.50. This is a price that I would seriously consider buying back in if not for the fact that FGD and PKK are still outstandingly low. 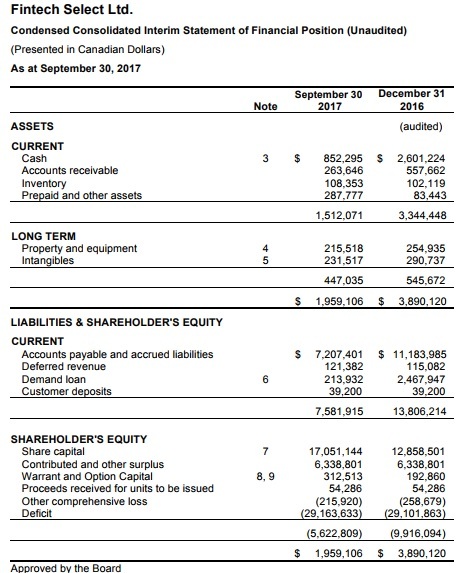 Why did I sell my IOM shares when the company had such a strong Q1 and is trading at an annualized P/E ratio of well less than 10? Keep in mind a couple of the risk factors I outlined in my Seeking Alpha article. First, the stock has moved a lot so insiders or owners of the old shell that existed prior to the RTO might be encouraged to take their profits. Second, the accounts receivable balance is high and has been growing which is always a concern when it comes to businesses that bill Medicaid and the insurance companies in the U.S. Q1 showed positive operating cash flow so the company is collecting on at least part of its invoices. I'll continue to monitor the A/R balance closely when reviewing Q2 and beyond should I decide to buy back in. As I stated a few weeks ago, I sold out of my position in PEEK to buy FGD and PKK. I suppose it worked out since PEEK has dropped from the $0.80's to the $0.50's while FGD has dropped from $0.40 to $0.29 and PKK has stayed flat at 6 cents. I still have no plans to buy back in at this moment, but continue to follow the situation. Recall my article from last October outlining the risks and opportunities that I see in PEEK. I guess the first elephant in the room that I have to acknowledge is that leveraging the old Keek user base wasn't nearly as lucrative as I had hoped. So Mark Itwaru is trying to find other ways to grow the user base to scale. Marketing expense was $1 million in Q1. Assuming the 30/70 split between PEEK and Personas applies to marketing costs as well, that means Peeks Social spent $3 million in advertising for the quarter. There are no details around the marketing expense, so I can only guess at the split between the Caribana sponsorship and what might be paid as an upfront signing bonus to celebrities like Scott Disick. Maybe the strategic spending Mark is doing will be successful in bringing users onto the Peeks platform and encouraging revenue growth. However, having been burned by this business model before with other investments, I'll continue to sit on the sidelines until I see this strategy gaining traction or the stock becomes too irresistibly cheap to pass up a buying opportunity. My opinion on this is that YouTube helped to make Justin Bieber much more than Justin Bieber ever made YouTube. The Peeks platform is a great opportunity for people to get noticed and earn an income. In my opinion, Peeks needs to find its own stars to make rather than try to recruit existing stars to the platform (except in the case where the offer box is used for e-commerce initiatives). With that being said, I noticed that the Mayor of Toronto John Tory gave a shout out to Peeks' Twitter account during the Carnival, and it has 230,000 followers. Clearly there is some boost in the Peeks brand name from this sponsorship deal. The next challenge is converting those followers into Peeks users who create content and/or tip others for their content. There were several large investors in PEEK and even employees of the company present at the SCG AGM. That just goes to show you how incredibly stupid it is to try to gain traction in one of these stocks (PEEK, FGD, SCG) by trashing another. I firmly believe that the Itwaru brothers will help each other out. Both of these companies are new to me and are in the oil/mineral extraction and technology space. I've known some of these "water into wine" type of companies before and they generally don't work out. However, trusted associates of mine who are shareholders and close to the management teams are quite bullish on each company. I expect to be talking with management along with writing more detailed reports on both of these stocks and in the case of XMG I have already once spoken with management. Both companies have the typical risk associated with pre-revenue businesses that are trying to showcase new technology - financing/dilution/insolvency risks before things get off the ground and the risk that someone comes along and builds a better mousetrap if things do get off the ground. But for now I am fairly confident that both companies have a reasonable chance to become revenue-generating in 2017 along with signing (more) contracts with oil and gas players. At least confident enough to make both of these picks public. I'll give them both to the end of the year before re-evaluating my investment. For now I am slowly adding to my position while they are in a quiet period. I own several other small positions, many of them I have already disclosed in other write ups. I'm also buying and selling other stocks to pass the time, but these seven are the ones I am watching the closest for the rest of 2017.